The Balloon Shop is committed to providing a secure website and shopping environment while protecting your privacy. Any personal information gathered is used to process your order or to contact you regarding transactions. 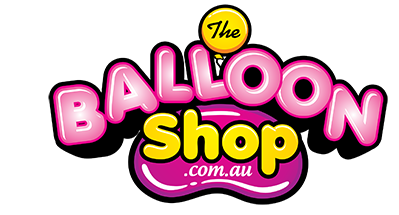 The Balloon Shop guarantees that all information collected through theballoonshop.com.au will be handled with the strictest confidence, stored securely and will not be distributed or sold to any third party. Your details will be kept on a private database for use by The Balloon Shop. The Balloon Shop takes every precaution to make our site as secure as possible. SSL is used to encrypt and protect the data you send us over the internet to ensure that your details are safe. The Balloon Shop does not hold any payment details on record. We do not store your credit card details, so you will be required to re-enter these details when you make each purchase. We may contact you via email with our regular newsletter, featuring information about new products, features or special promotions. If you do not wish to receive this kind of mail, please follow the opt-out prompts at the footer of the email. To any browsers who are not registered as a member, they may also sign-up their email address to receive the newsletter. All content on www.theballoonshop.com.au, including, but not limited to: photographs, informative content and graphics are copyrighted material of The Balloon Shop. Such materials may not be reproduced or taken for other use in any manner without the legal written consent of The Balloon Shop.